Meeting carbon-reduction targets will be more challenging for Wales than the UK as a whole, government advisers have warned. The Committee on Climate Change (CCC) has made a series of recommendations on meeting emissions targets. They include tightening house-building standards and increasing the use of onshore wind farms. The Welsh Government welcomed the report and said it was working on long-term actions. Wales currently has a non-statutory target to reduce greenhouse gas emissions by 40% from 1990 levels by 2020. However, CCC has recommended a legally-binding target of 27%. It also recommends a steady drop in emissions over the next decades to 80% of the 1990 level by 2050. Emissions in Wales fell by 19% from 1990 to 2015, compared with a 38% reduction for the UK as a whole. CCC, which advises devolved governments, says it is more challenging for Wales to cut emissions due to the importance of agriculture and heavy industry to the Welsh economy. It said it will be "highly challenging" and will require "sustained policy effort" to meet targets, but that not all these policy areas are fully devolved. Lord Deben, CCC chairman, said: "Wales has set itself an ambitious but achievable emissions reduction target for 2050, as part of the global effort to tackle climate change. "The carbon targets we are recommending today present a pathway for Wales to decarbonise its economy, while protecting Welsh industry, jobs and future generations." He said Wales should use its powers over housing to make new homes more energy efficient. "Wales could say to every house builder, if you build here you've got to meet the highest standard," he said. 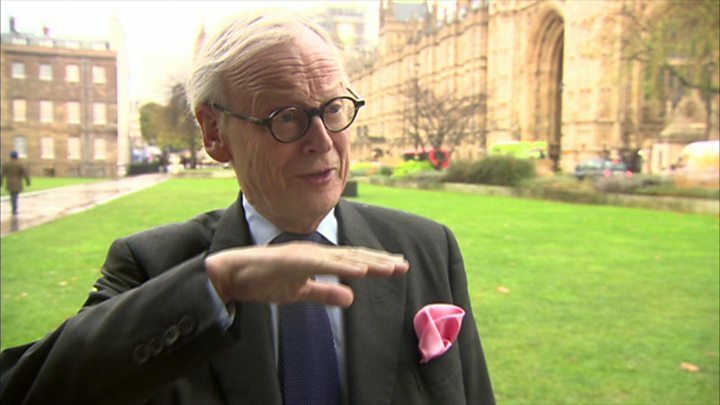 On reducing emissions from heavy industry, such as steelworks, Lord Deben added: "We're not suggesting that they should in any way close down, but what it does mean is they've got to find as many ways of being energy efficient as they can." He said it was "not an excuse to say it's difficult" and, as power generation moved to renewables, emissions would fall. Reducing emissions from transport and increasing use of public transport and cycling; encouraging use of electric cars through a better network of charging points, especially in mid-Wales. Reducing emissions from agriculture. The Welsh Government should consider replacing the Common Agricultural Policy with one which supports action to reduce emissions. Increasing tree planting to at least 4,000 hectares per year. Providing more electricity from low-carbon sources. Onshore wind should be used where it meets local planning criteria. Energy, Planning and Rural Affairs Secretary Lesley Griffiths welcomed the advice and said the Welsh Government was already taking early action, including ambitious renewable energy targets. "Next year, I will be publishing a consultation on the long-term actions we can take to reduce emission in Wales," she said. "I will be evaluating the advice, along with wider evidence and will provide a further update around this important area in the summer of 2018." Jessica McQuade, policy and advocacy officer at WWF Cymru, said despite the challenges of high-emitting industries and farming, many would be "deeply frustrated" that Wales had not been able to deliver on the targets set nearly a decade ago. "Whilst this government is working well to secure cross-government sign up for emission reduction in the long term, it's questionable whether it's taking the action and making the investment required now to meet the short-term targets and ensure infrastructure investments are not locking Wales into high emissions," she added. Paul Allen, Zero Carbon Britain project co-ordinator at the Centre for Alternative Technology in Machynlleth, queried whether the statutory target was adequate, given Wales' "enormous potential" for renewable energy. "There's a consensus that the world needs to be zero emissions by mid-century...so for the UK to only get to 80% by mid-century isn't really leadership," he said. The Home Builders Federation in Wales said houses are already significantly more efficient than those built in the past and the industry will continue to work to develop technologies to reduce carbon emissions. "However, requirements must be balanced and set against the acute need for more homes and the already significant costs levied by central and local government on new homes sites to pay for other asks such as improved infrastructure, schools, roads and amenities. Housing supply is increasing but sites need to remain viable if increases are to continue," it said.